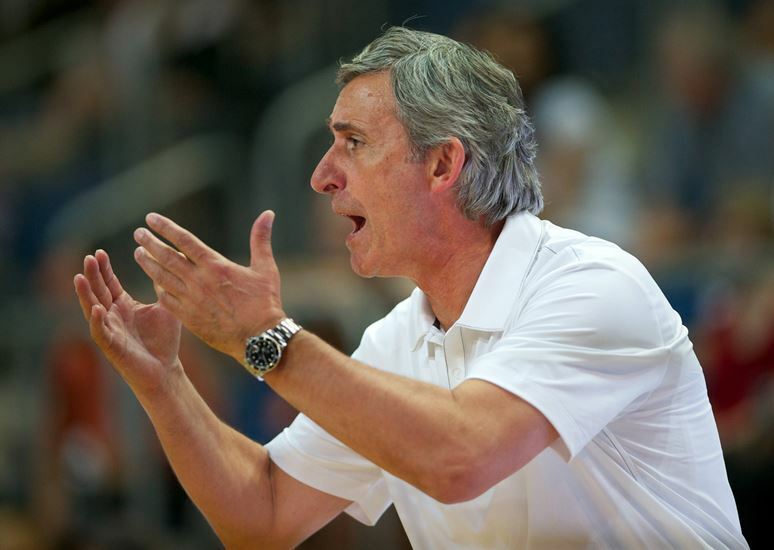 The mastermind of Bayern Munich, Svetislav Pesic, who have won everything during his career as a coach talks exclusively to Eurohoops.net! 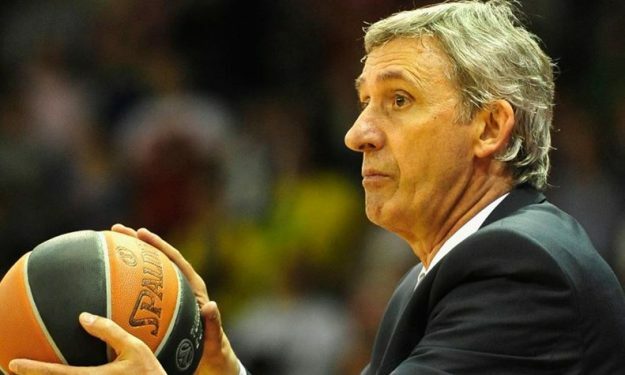 The mastermind of Bayern Munich, Svetislav Pesic, who have won everything during his career as a coach talks exclusively to Eurohoops.net! His vision for Bayern Munich, the reasons he decided to launch his own personal website www.coachpesic.com and his relationship with his son Marko. All those issues are examined in a more than enjoyable conversation we had the honor to enjoy with one of the most important personalities in the history of European basketball! 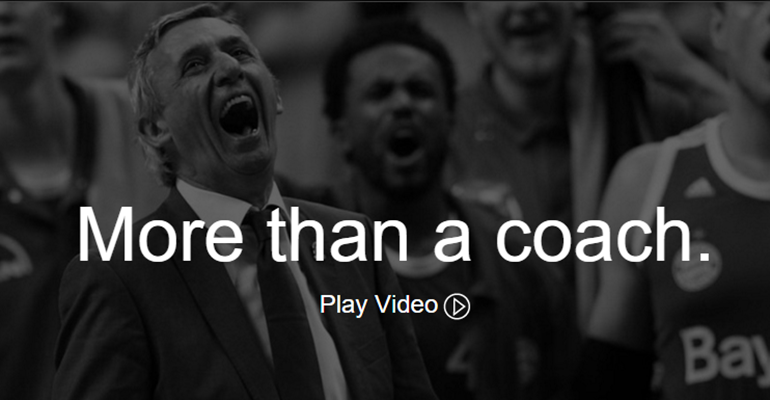 – Congrats for the creation of www.coachpesic.com! Honestly, its very beautiful and different. Which is the main reason of this move? Do you feel ready and motivated enough to communicate with basketball nation and share opinions and knowledge? “To be honest, I constantly get questions from coaches who wish to communicate. In 2007, I received an invitation from FIBA Europe to try to realize, together with Mr. Schwartz Head of Coaching Department, a project aimed at developing coaches but first and foremost those working with youth teams. I simply felt the need and obligation to share my knowledge and experience with everybody who is in some way involved in basketball. After all, I too developed as a coach by using the knowledge and experiences of other fellow coaches”. – Coach, do you think that older generations have to adjust to new era in which internet dominates the lifestyle in order to stay connected with the new reality and being capable to communicate with the world? “It is a fact that the internet is becoming a part of our lifestyle and a necessity of all generations. I wouldn’t say that I can’t live without it, but I’m trying to use it rationally in my daily life, as well as a basketball coach”. – How much time of your daily life or weekly base, you spending on surfing to internet and which kind of websites do you prefer visiting and reading? “More and more each day, but I wouldn’t want to neglect my daily activities (both privately and professionally). I’m trying to be sensible”. – Are you aware of technonology and cameras being everywhere around? You must know that your reaction during the time out in the game Vs Real Madrid become viral on internet! “Basketball is certainly the most popular sport after soccer and not only in Europe. Television has had huge merits in making our game more popular. I don’t always approve of cameras when they invade the privacy of players and teams. But certainly it increases the ratings and interest in basketball. I am a coach and I know that my players expect help and authenticity from me whether the cameras are present or not”. – The wesbite looks very good with great content already for media, coaches, players and basketball addicted people in general. What more can we expect to see and enjoy in the future? “Of course everything depends on the time that I am able to invest. There are no limits. I am completely open and I have no secrets but I also don’t have any tricks or shortcuts that would bring instant results either in improving the game or improving the player. The knowledge that I have, I am more than willing to share with anyone who is interested”. – You are a coach that you have trained many important teams during the last decades. In our opinion if we compare bball of that time to the one was played before 30 years, it looks almost like other sport! “There are no major changes regarding tactics. I have always believed that the team and the players should be developed in the areas of transition offense and defense. In my methods of training I never wanted to specialize players for specific positions (1, 2, 3, 4 or 5) but rather to evaluate and develop players with respect to how many assignments they can fulfill. The goal is to give the players assignments within which they can feel comfortable, put them in a “workplace” so to speak”. – Specially in the terms of athleticism, speed etc? 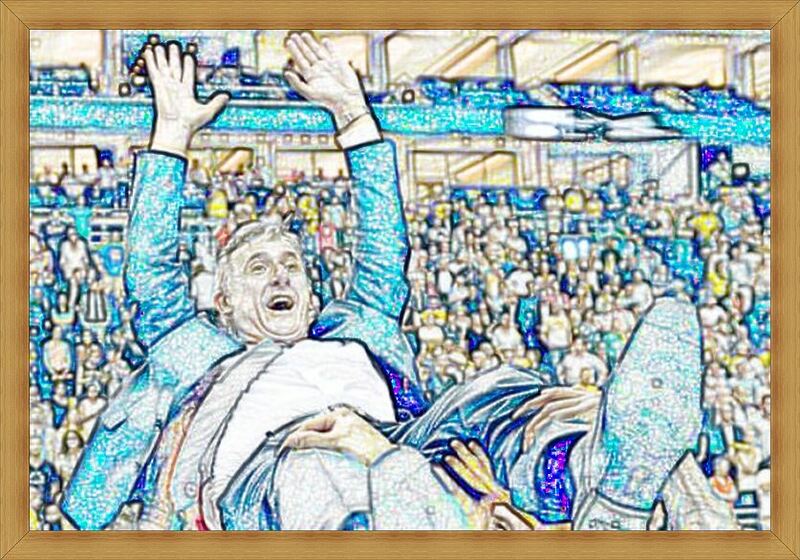 Which basketball era coach Pesic has enjoyed and loved more though all this years your are a head coach at the top level? “Basketball from when I was a player and now? That’s a huge difference, first and foremost in individual abilities (physical, individual technical and tactical). Of course I prefer attractive basketball”. – We watched Nemanja Bjelica calling you “basketball father” in a video posted on your website. How important and nice as a feeling is for a coach to receiving recognition and grateful feelings from old players of him with great achievments? “A coach’s main objective is not only the sports result but also the development of players as well as the game from the aspect of technique and tactics. Also development of individual techniques and tactics and the player’s personality. The coach must change old and form new habits both on the court and in their private lives. It is a great satisfaction for every coach if the player profits from all this”. – How nice, strange, emotional, you will tell us the proper words, is to cooperating in professional level with your son? Coach and GM! It’s a combination we don’t meet oftenly in basketball clubs. Do you feel blessed that family and team can be combined every day or it’s something that several times make the work even more harder and complicated. “I have already had experiences with Marko professionally because I was his coach in Alba and in Roma. It was easier for me to adapt to the coach/GM relationship. I think we function well because we managed to separate the private and the professional. If something has to suffer then it’s probably the private relationship. What we have in common is our great love for the game and sense of responsibility that we have towards the development of our club”. – For second season in a row, Bayern is out of Top 16. Specially this year, at some point, we believed that team will make it. How do you feel about the elimination and we would like to tell us the most important element that your team missed, in order to qualify to the next Euroleague roung. Specially at the last crucial games. “In the last two years we had a very difficult group with teams that had previously either participated in the Final Four or won it. I wouldn’t consider being in the top 16 again to be a huge sporting success. We have taken part in the Euroleague three times until now. We played very good against the best teams in Europe, some we even beat, and had a generally positive experience. This year we have shown that we have improved. If a team shows that it can win away (Strasbourg, Khimki) and play close games (Fenerbahce, Madrid) that means that it is improving and getting more experienced”. – Mr Pesic, you have earned everything as a coach. What’s the secret for a man like you reaching new motives every time, have the same passion every day for the sport and the job and which is the biggest dream of Coach Pesic for the future? “We have reached our first goal which is to establish FCB Basketball in Germany and Europe and earn respect. Now our goal is to create a tradition so that FC Bayern name is not recognizable only in football but also in basketball. Our goal is to have an always sold out Audi Dome and to always give our fans something special to make them feel proud and to identify themselves with the team even more. Especially, my personal wish is that the development of our club and the popularity of the game further motivate the youth to start playing basketball”.